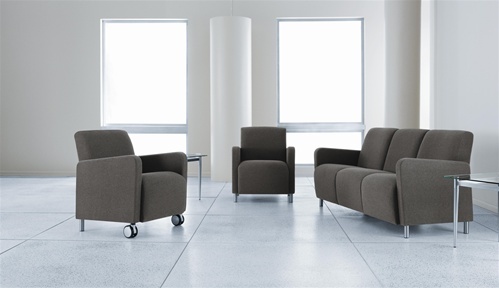 Ravenna Series Reception seating is a fully upholstered series with matching tables. Made of heavy duty construction, this line features seating with a 400 lb. capacity. It also features a matrex seat support system for long-life comfort and unlimited fabric and finish options so you can customize your space. Our Price: $555.00 Free Shipping! Our Price: $595.00 Free Shipping! Our Price: $689.00 Free Shipping!